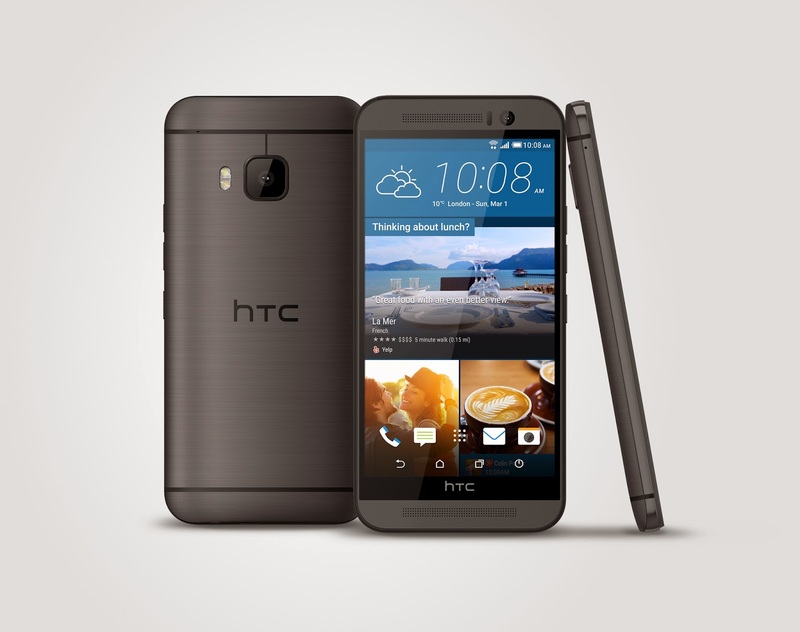 Barcelona, Mobile World Congress, March 1, 2015 – HTC today unveiled its most personal, beautiful and powerful smartphone yet, the HTC One M9. The newest flagship in the globally acclaimed HTC One family, the HTC One M9 is a classic yet timeless celebration of beauty and elegance that combines high style and performance, enabling you to get the most from your mobile phone. Your phone should make a statement about who you are and the new HTC Sense™ 7 experience puts you in control of everything. Highly customizable and intuitively you, Themes puts you at the centre of the smartphone experience, intelligently analyzing your favourite photos to modify the look and feel of your apps, colour scheme and backgrounds. A truly great viewing experience deserves sound that puts you on the front row. The HTC One M9 guarantees a larger-than-life soundtrack courtesy of HTC BoomSound™. The HTC One family’s iconic dual front-facing speakers, now combined with 5.1 channel Dolby® Surround sound3 simulation, get you even closer to the action, delivering extraordinary, cinema-style surround sound. Uniting HTC BoomSound and Dolby Audio™ creates immersion vibrant audio experience, so you can enjoy movies with rich, clear and powerful sound even without connecting headphones or external speakers. Whether listening via the stereo speakers or headphones, even the most discerning music fans will be blown away by the phone’s support for perfect, 24-bit high-definition sound that surpasses even CD quality. HTC’s unique combination of HTC BoomSound, Dolby Audio™, a finely tuned sound profile, and Qualcomm® Immersive Audio gives all of your music and movies an unmistakable HTC One M9 flavour. For a standout look, the HTC One M9 will be available with a range of unique and customizable accessories including the second generation HTC Dot View case, which adds more retro personalization thanks to a host of new features and colour options. A transparent back keeps your smartphone pristine without hiding it from the world with the case injecting fun into even the most tedious commute by transforming into a mini games arcade. The new HTC Dot View case won’t even get in the way of apps such as Instagram, Snapchat and Badoo with through-the-case notifications alerting you to the latest photos, messages and check-ins. The new HTC One will be available in Canada on Bell, Rogers, SaskTel, TELUS, and Videotron early spring. More information on availability will be shared in the coming weeks.